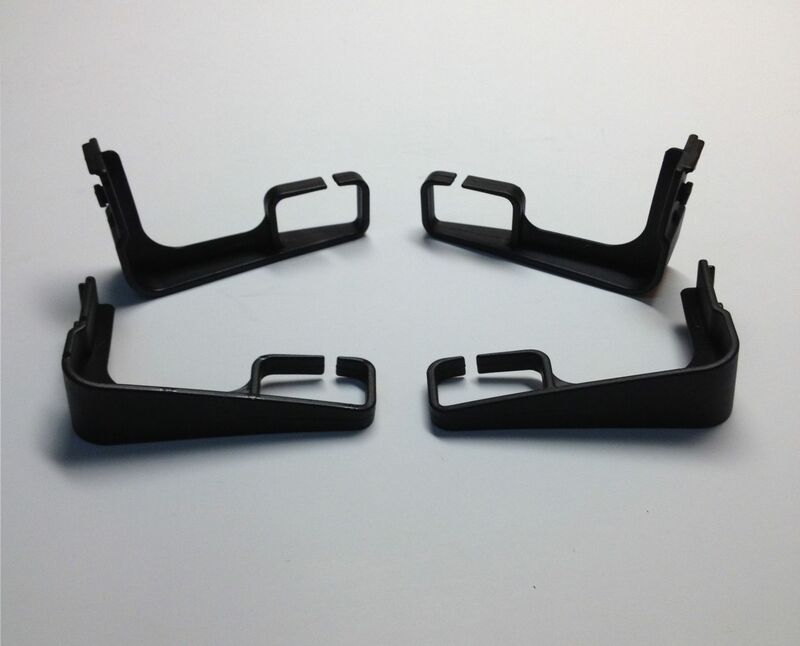 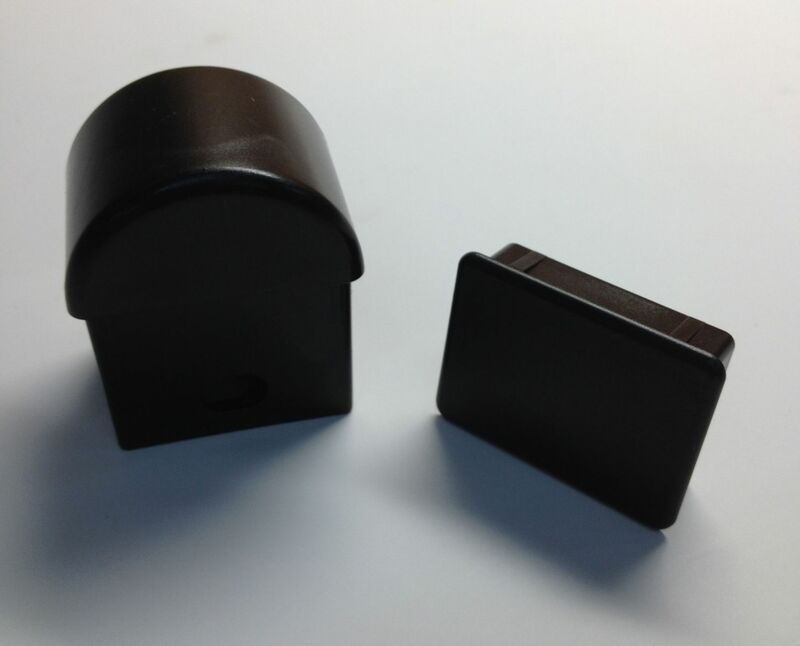 Thermoplastic Injection Molding Products | Plastic Molded Products | Cote Plastics Inc.
Rubber - Bushings, Cuffs, Strips, & Tubes. 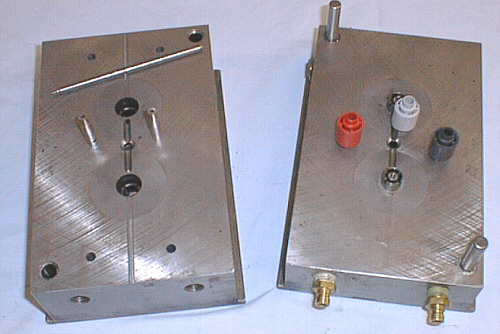 Single & Multiple Cavity Tools. 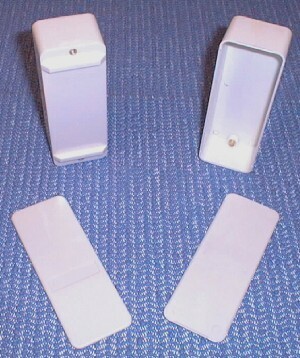 ABS Electrical Enclosure Base and Cover with Automatic Core Pulls. 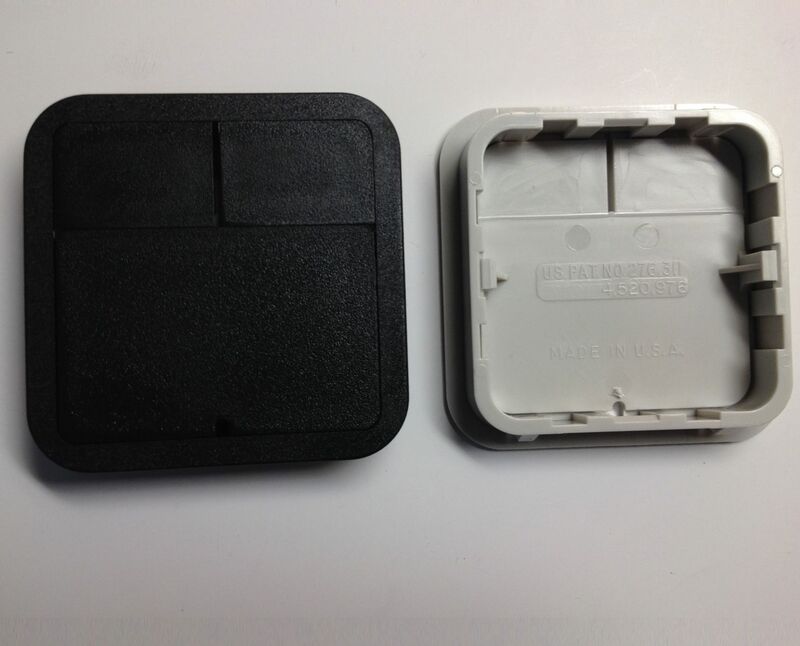 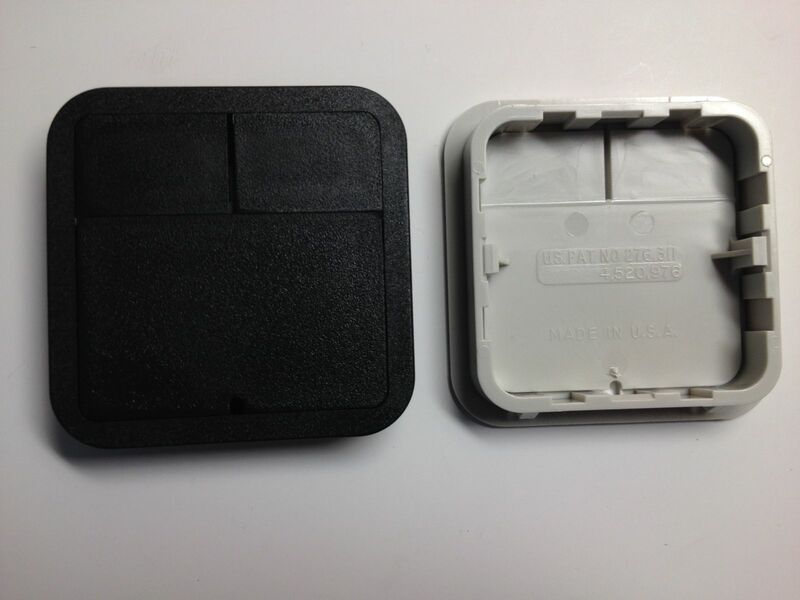 ABS Electronic Enclosure Cover & Base with Automatic Core Pulls. 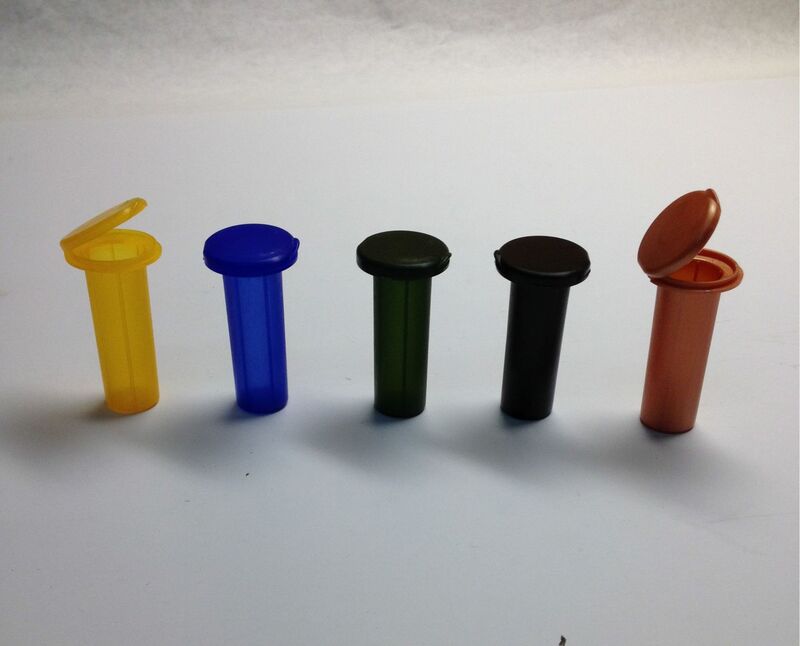 High Tolerance Internally Threaded Components. 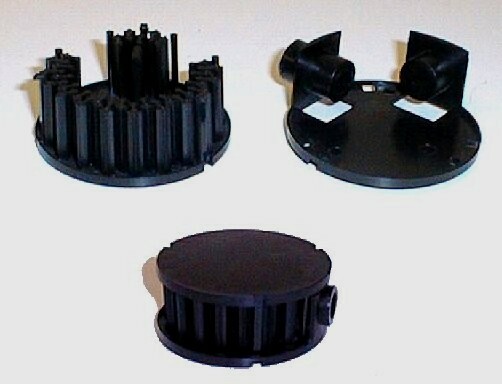 Multi-Colored Parts Produced in Acrylics as well as other Polymers. 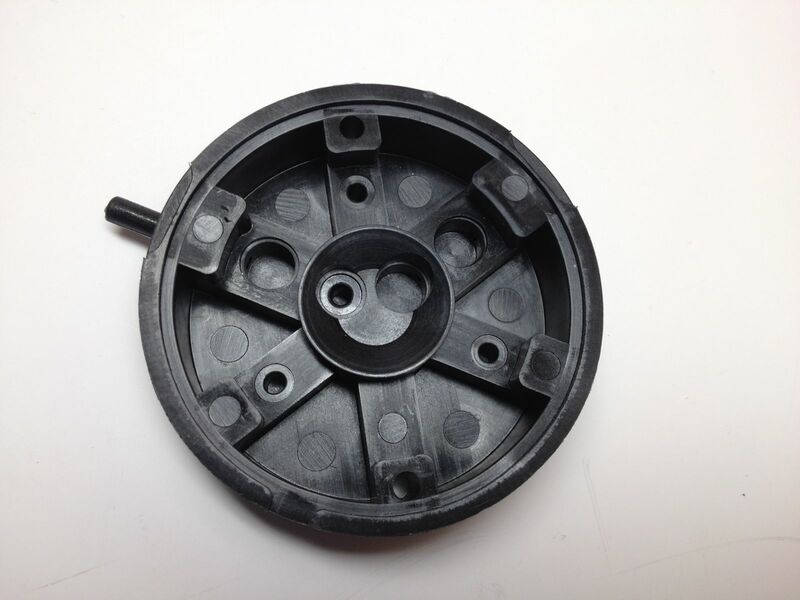 High Heat Material for Internal Electric Motor Parts. 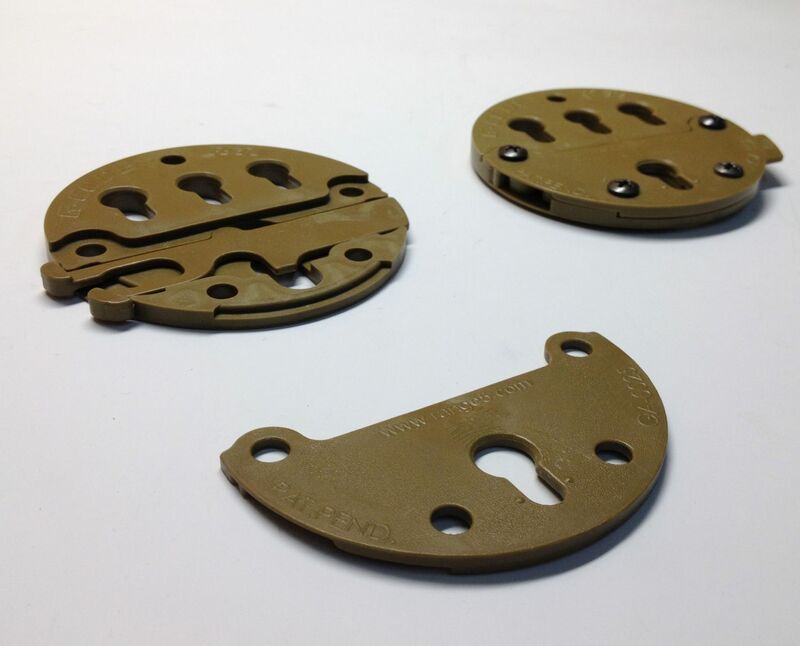 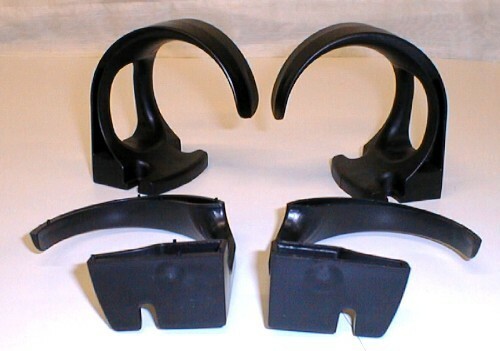 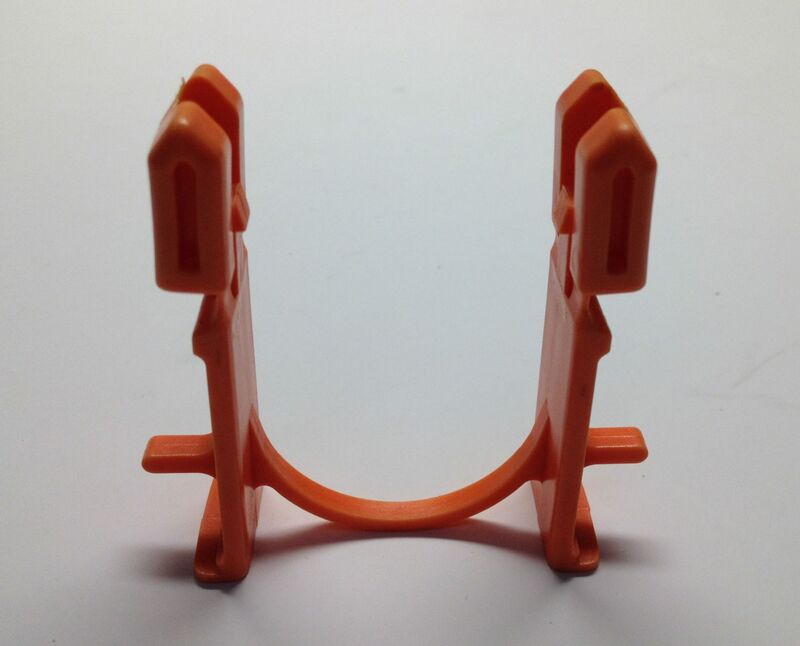 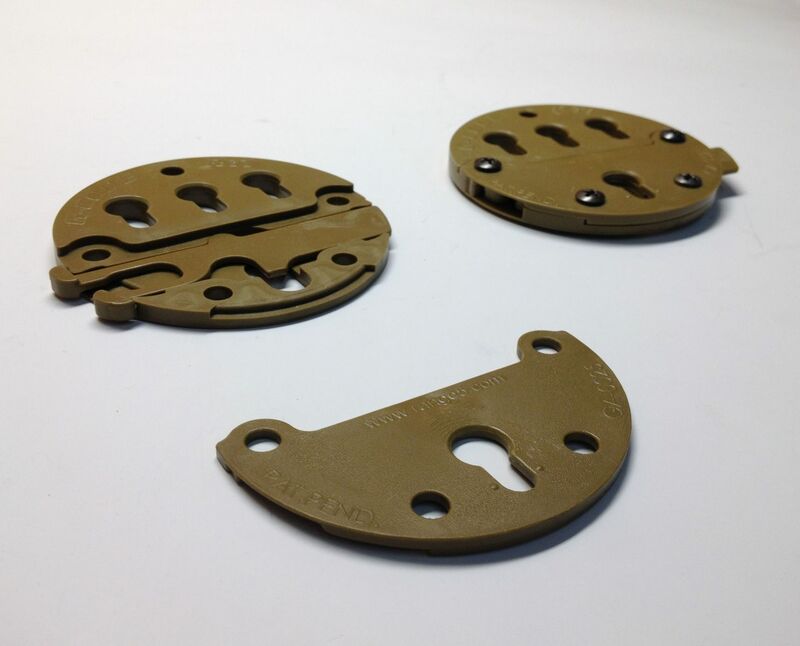 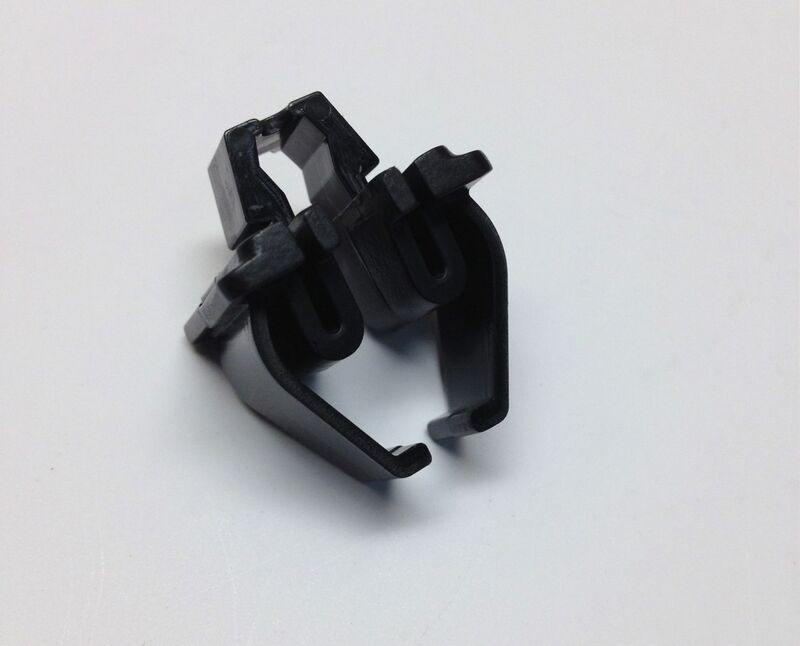 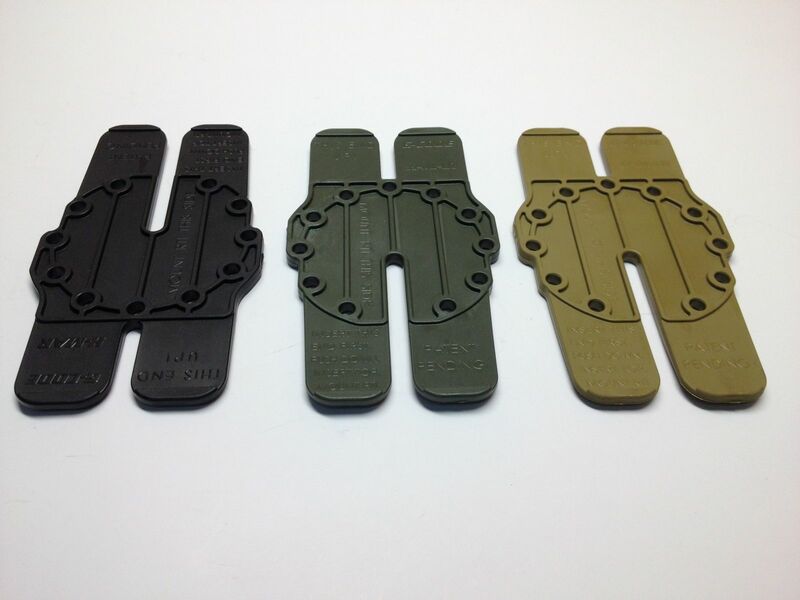 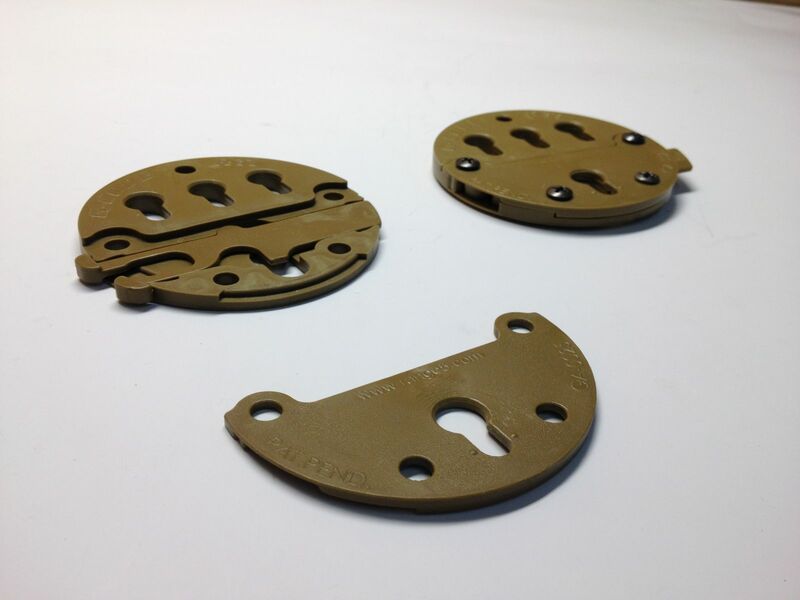 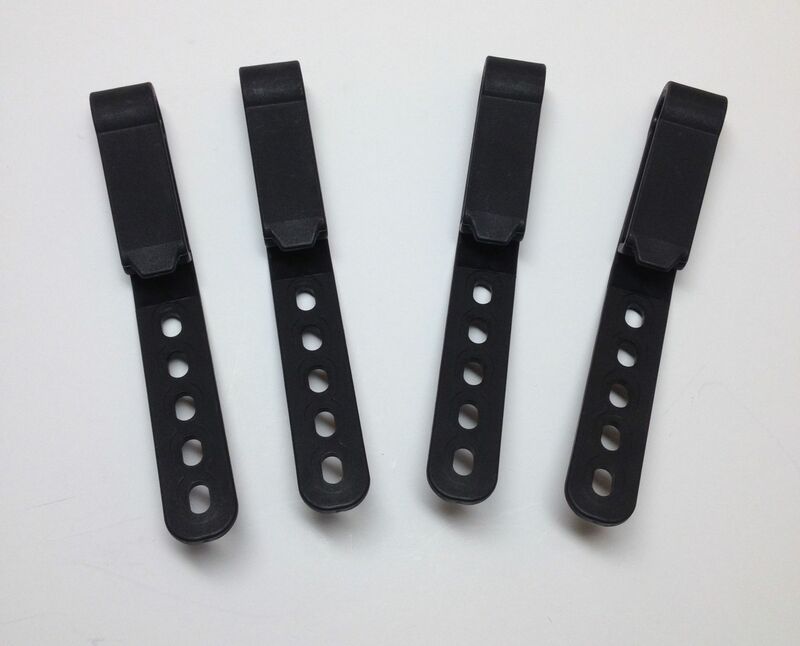 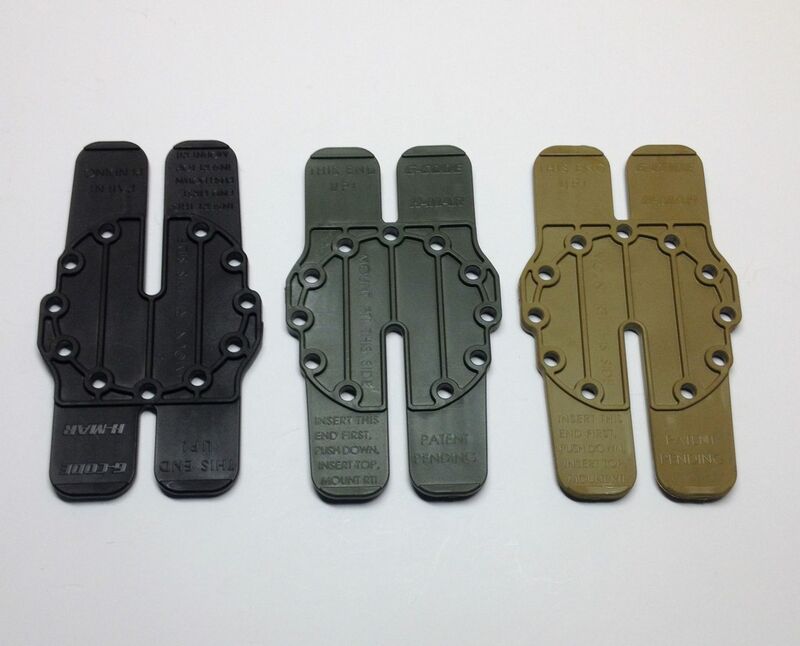 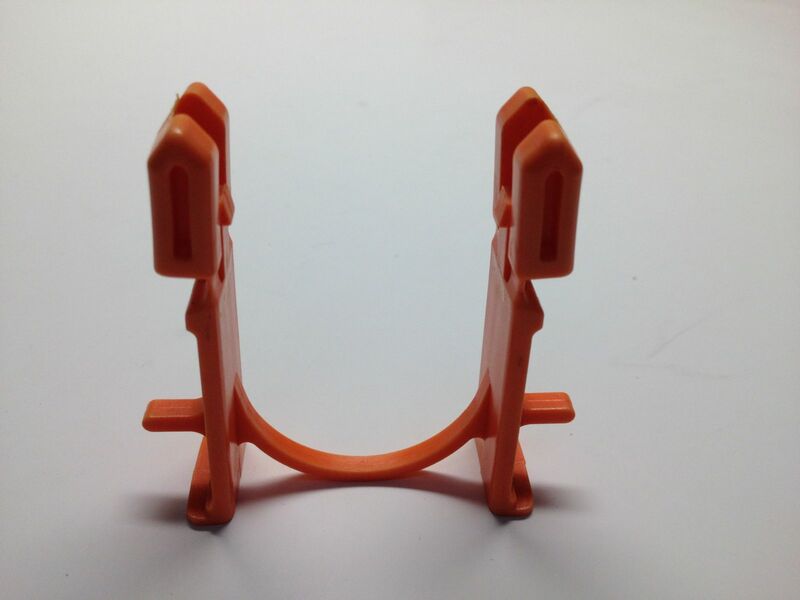 Living Hinge with Locking Clasps Molded in a Copolymer. 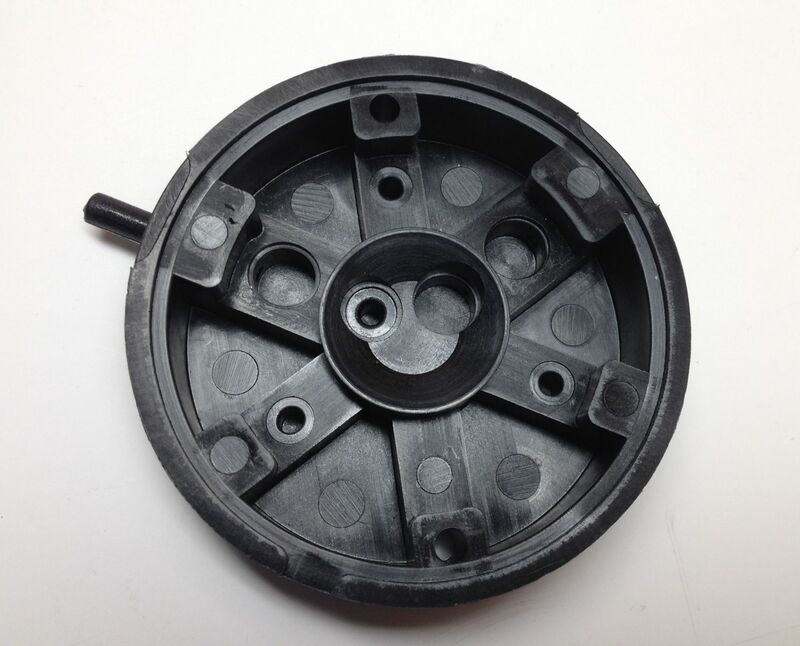 High Heat Material for Internal Electric Motor Parts. 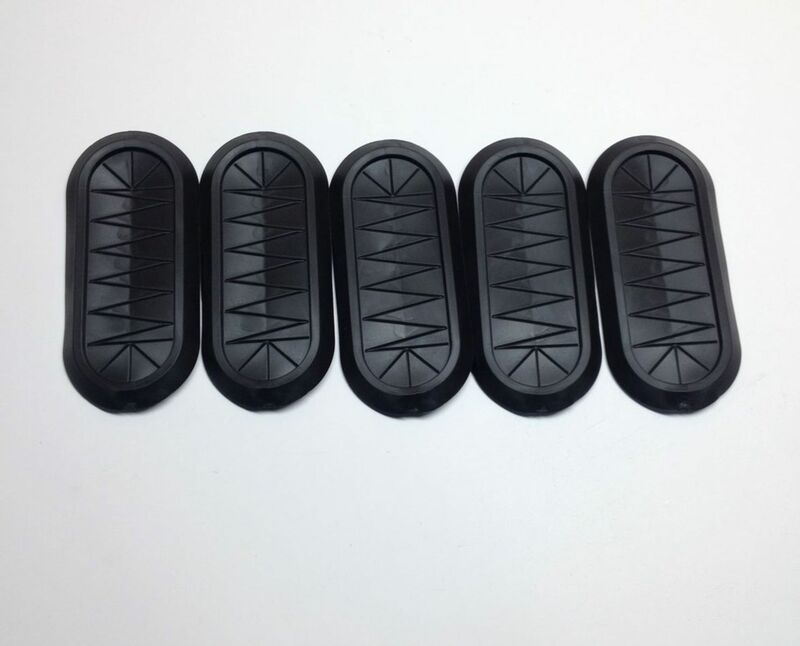 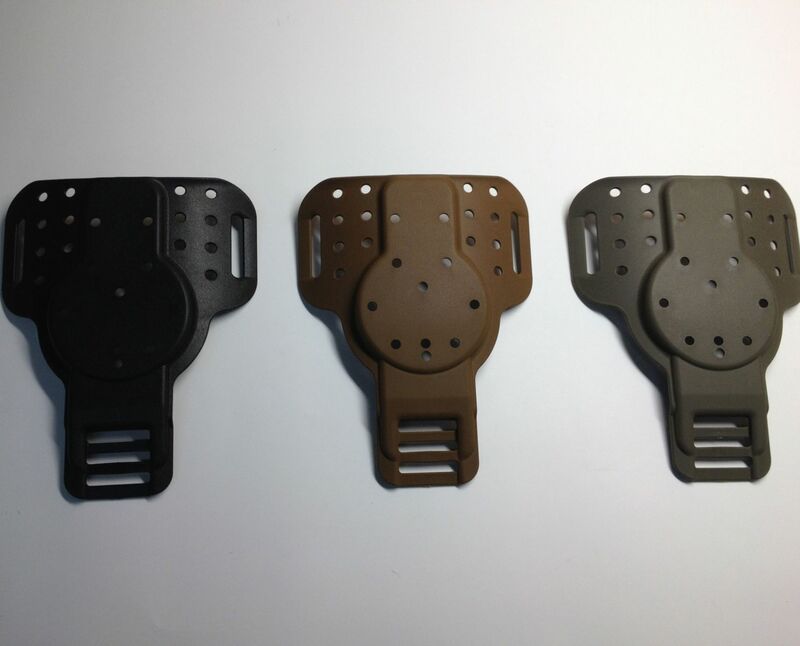 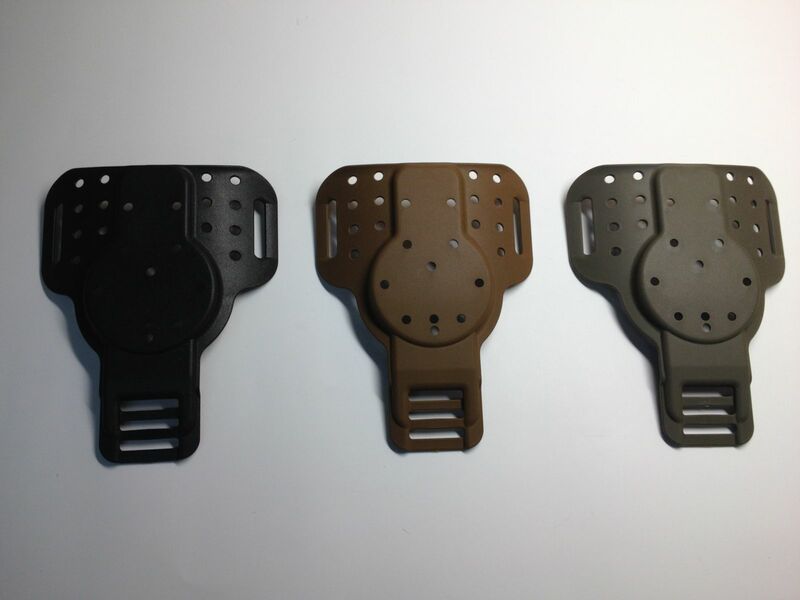 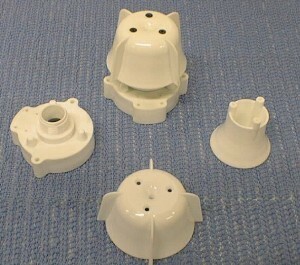 Medical Pieces molded from PVC. 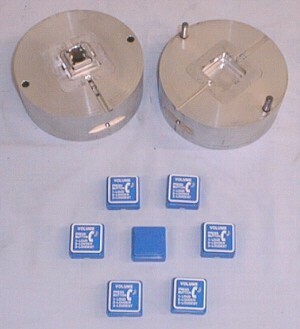 Vaned Components for the Aerospace Industry. 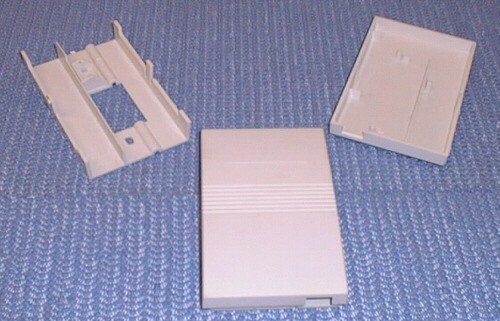 3D Contoured Components in ABS. 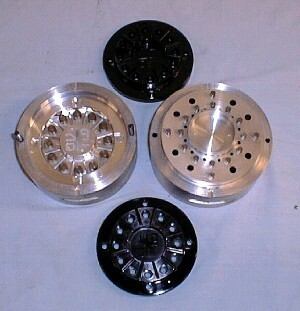 Molded in halves & Sonic Welded. 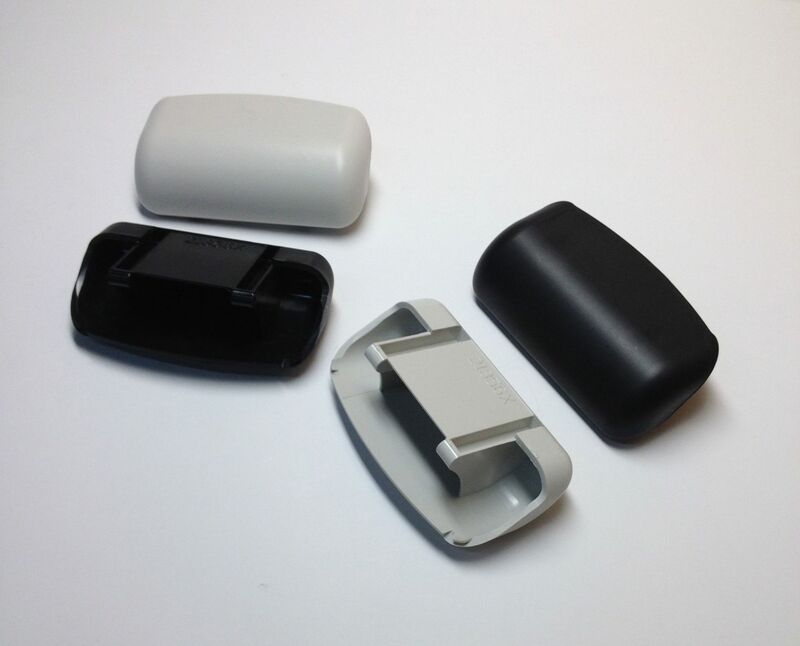 Glass Filled Polymers for Strength & Durability. 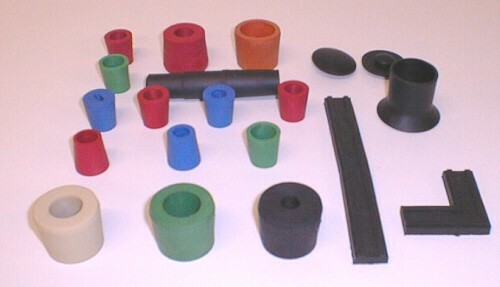 Glass Filled Polymer Components. 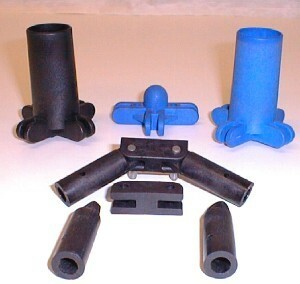 ABS & Polypropylene Acuostic Components Package. 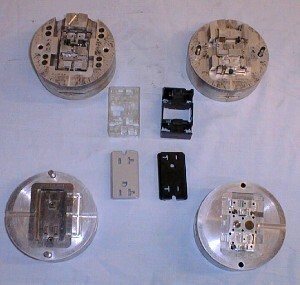 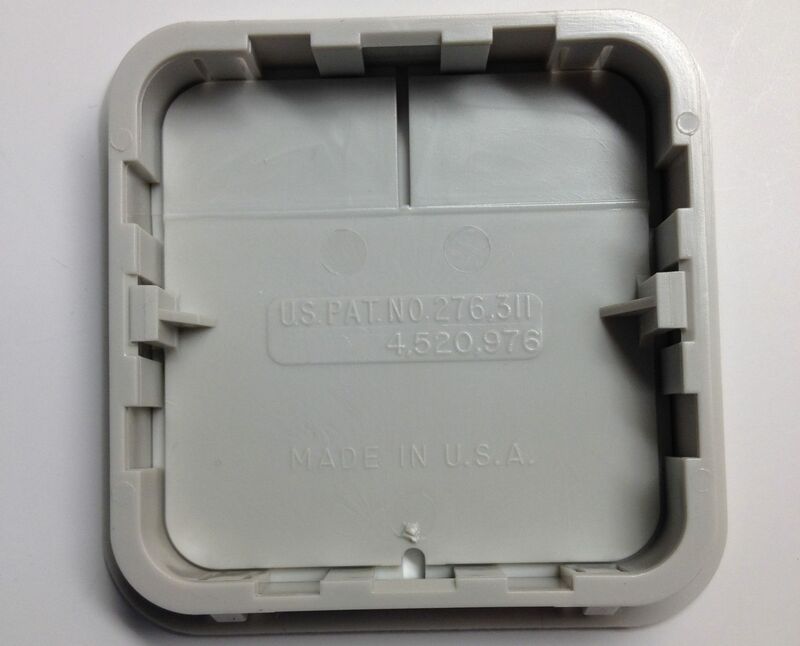 Electronic Components with Molded In Inserts. 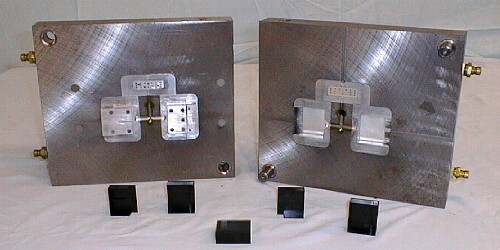 Aluminum Mold Frame with Hardened Steel Inserts. 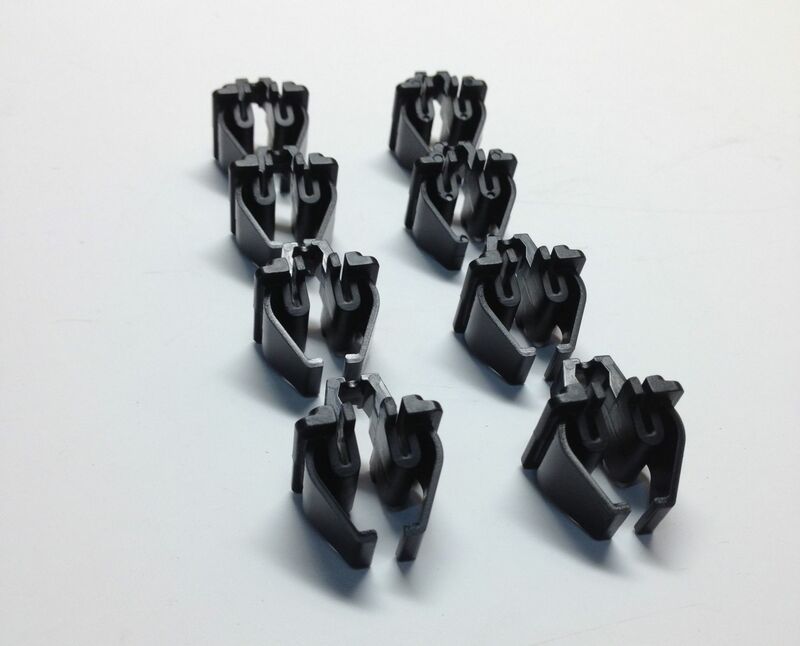 8 Cavities producing interlocking parts - any combination. 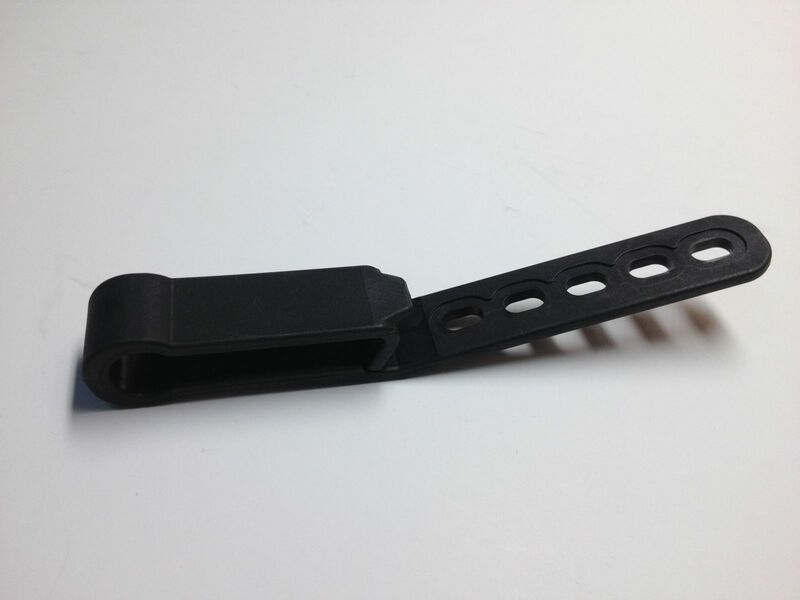 1 Cavity to produce part with opposing holes and ribbing. 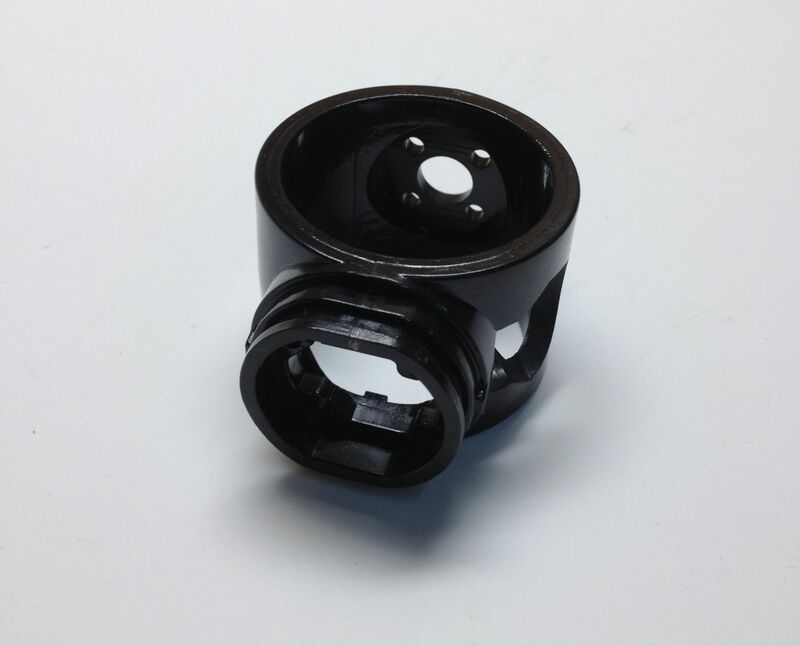 High Tolerance Internal Threaded Parts created with Hand Loadable Threaded Core Pins. 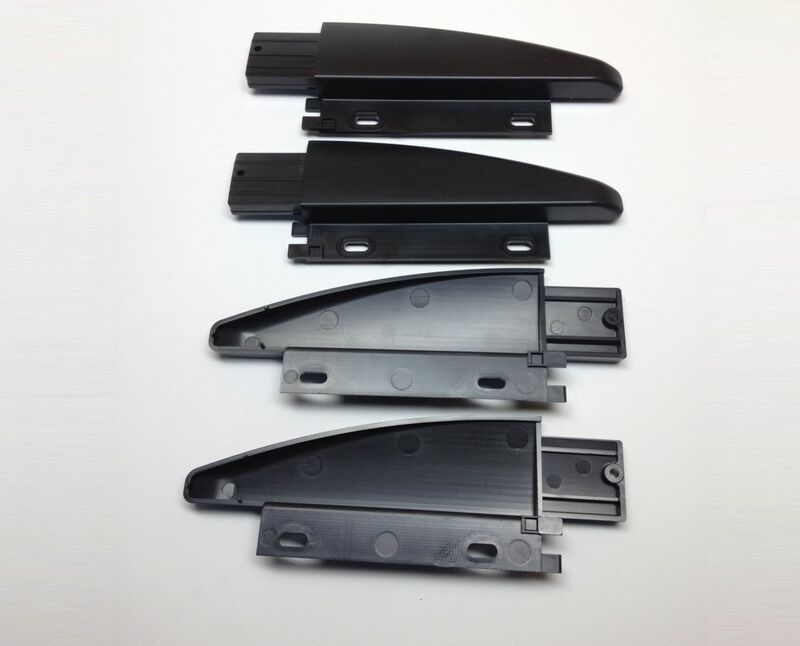 Aluminum Billet Mold used in House Frame for Cost Savings to Customer. 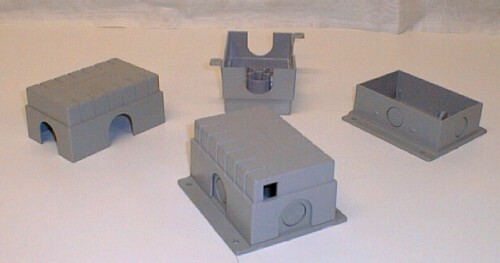 Aluminum Billet Mold used with House Frame for Cost Savings to Customer.